Teacup Ninja – Page 4 – Teacups. Ninjas. Maybe some other stuff? 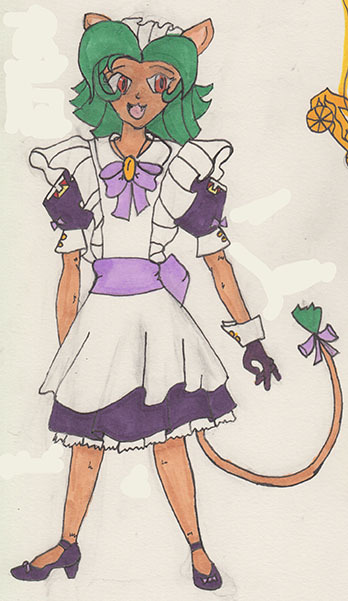 Phoebe: Script 70% done, sprite linework 20% done. 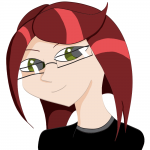 Dave: Flow diagram done, sprite inking 30% done, sprite coloring 0%. Angie: Script editing done up to current point, whip cracking across all our backs. A little behind schedule but we’ll get through! Hi everyone, Dave here. If you’ve bought something from us at a convention, odds are good that I’m the guy who sold it to you. We’ve got a couple of appearances coming up that we’re excited about! First off, we will once again be in the Artists’ Alley at AnotherAnimeCon next month. This will be our third year vending there, and it’s always a good time. Two weeks later we’ll be at the inaugural DrawnCon! A little different from our usual show, but a subject that’s near and dear to my heart: Western animation. I’m not a huge fan of most of the current stuff out there, but I could go on for hours about classic Warner or Hanna-Barbera shows. Now, let’s talk about plush. 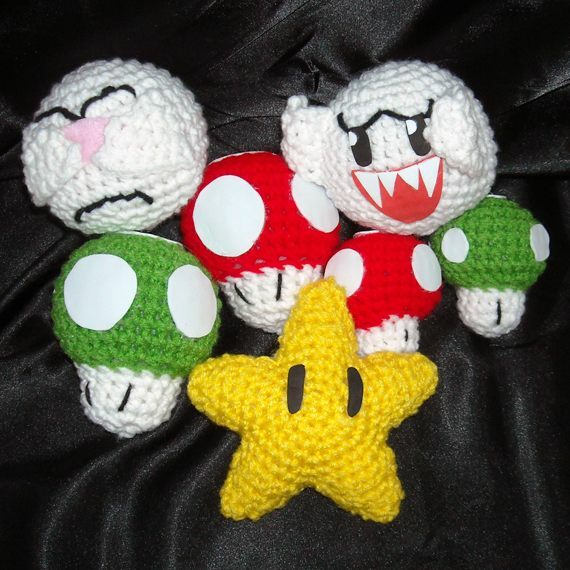 I crochet. A lot. You may own something I made! and of course Pokeballs. 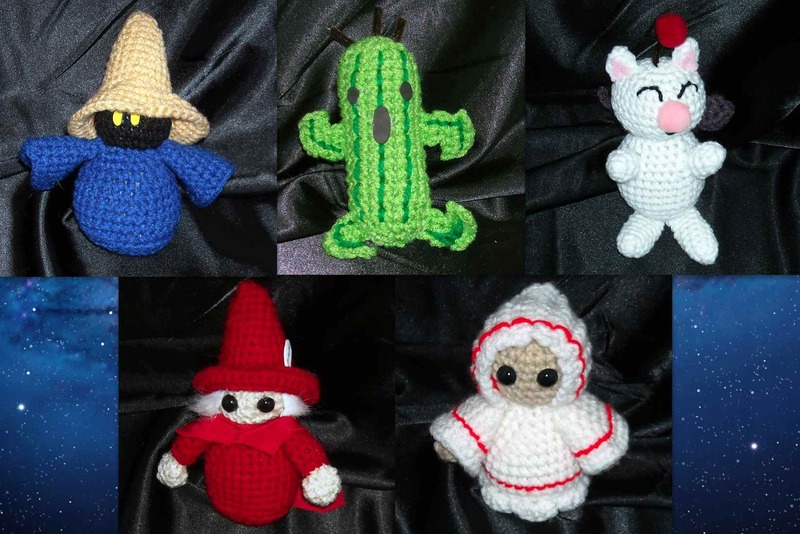 The problem is, I’ve been swamped with work on our upcoming visual novel and haven’t had much time to devote to crochet lately. I have a decent amount of pieces ready to go for the next two conventions, but for next year, I’ll be seriously cutting down on the amount of plush I make. So – if you’ve been holding off on buying any of our plush, come to AAC or Drawncon! Starting with the 2014 convention circuit, we’ll be carrying a lot less plush and a lot more other stuff. We’ll be premiering and selling our visual novel! We’ll still have our buttons, of course, Phoebe will have her prints, I’m hoping to have a few of my own, and Joe will have prints and merchandise for his webcomic, Something’s Broken. 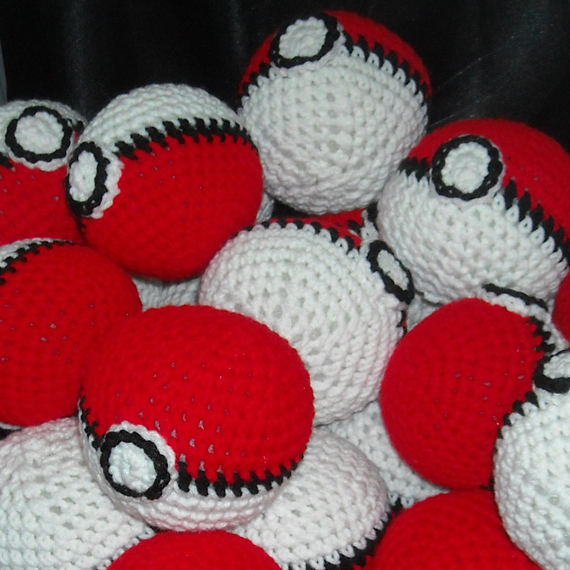 … and I’ll probably be making Pokeballs until the end of time, so I doubt those will be going away. I’m still hoping to get this done by the middle of March 2014. I’m not exactly sure what will be next, but hopefully it will get easier once our first game is finished. This game is also our first project as a team. Unless you count Dave and me team crafting plush. My work is all the beginning stuff: Original story, script, concept art, character design, pencils, and probably a bunch of stuff I can’t think of off the top of my head. The original story is done. 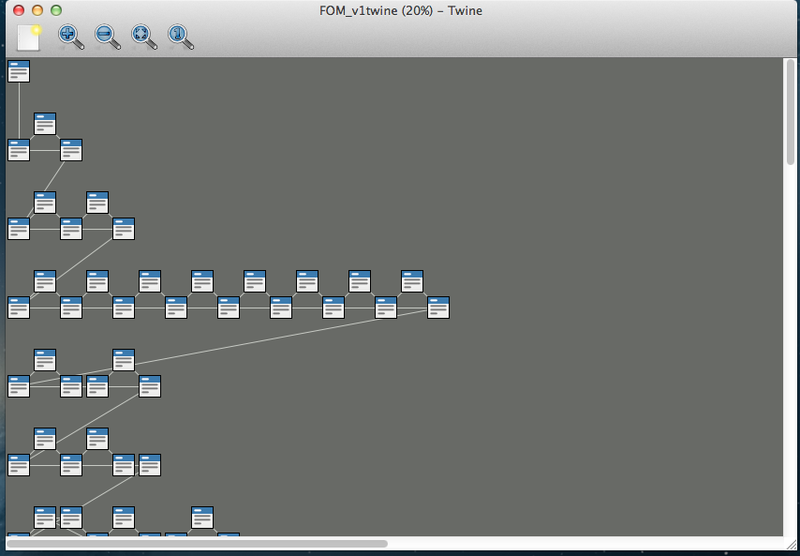 The script is in progress (I’m doing it while programming it at the same time. My apologies in advance to the person will be testing the game. I’m probably spelling things wrong and breaking grammar laws left and right). Original character designs and concept art is also in progress. No penciling yet, but I’m getting there… Then there’s everything else. I can get to it after I get this stuff fully fleshed out. It’s a tough goal, but I’m hoping we make it. As always, I will post more about this as the process moves along. You can also follow me on Twitter, @phoebejtweets, and check out my Deviant Art page at http://phoebej.deviantart.com/. Thanks for reading! Ok folks for any of you who don’t know Angie very well, she is an avid gamer. Role playing, card games, board games, video games, it’s one of her passions One of the huge events she goes to is Gen Con Indy, the best four days in gaming. This year I had the pleasure of being a part of the event team for Alderac Entertainment Group. This meant I was running events in the card hall for 4 days. I love running events so this was right up my alley. Tuesday night I fly out to Chicago after work and meet up with one of my friends. After a night of little sleep we gather the rest of our car and get out to Indy in time for me to grab lunch before reporting for duty. Wednesday turns out to be much like a thursday of Anime Boston. Get badge, follow instructions for setup. Easy enough. Team dinner that night. Thursday and Friday are spent running draft format events and telling people where to go for their board game events. Saturday is the costume contest. 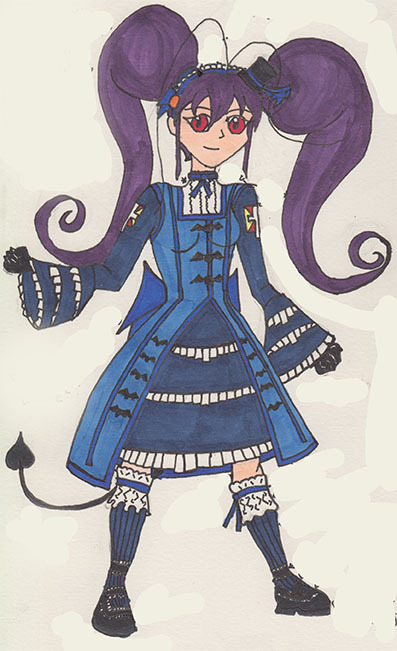 I cant actually win anything, as Im working for the company but my character, Tsuruchi Akahana made an appearance. Sunday was pretty much like any other con Sunday, clean up get your stuff, go home. For me it was go back to Chicago with friends, as I’m currently at the airport in San Francisco on a layover to continue my vacation. When I get back its time to get prepped for the fall cons. Okay here’s the line-up. Please keep in mind that these are just a few concept pieces. I colored them, but I do not consider them finished. I want to polish the faces up, and I wasn’t too concerned about anatomy here. I made these to get a feel for the characters general shape, and what kind of clothes they wear. These are not to scale either. I always feel like an amateur when I draw a character for the first time. It’s like trying out a new recipe, or renting a car completely different from your own. I don’t usually give out art advice, but I always believe that no matter how good one gets at art, when someone draws something they have never drawn before, that artist is going to think it’s crap. Never judge your designs until you’ve been at it for about three or four pieces of that same subject. I’ll have these up on my Deviant Art page, too. I’ll post more progress soon. You can also follow me on Twitter, @phoebejtweets, and check out my Deviant Art page at http://phoebej.deviantart.com/. Thanks for reading!